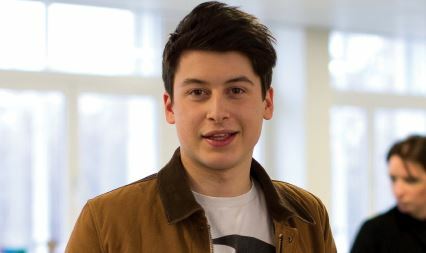 Oxford undergraduate Nick D’Aloisio is no average student. The self-taught programmer became a teenage millionaire in 2012 when he sold an app he had built for $30 million. Summly, the monetized app, had attracted a wide range of high profile investors including a number of Hollywood stars and the wealthiest man in Asia, Hong Kong billionaire Li Ka-shing. By the time Mr D’Aloisio sold Summly, it was rated the top news app in 28 countries. The app uses algorithms to compress long pieces of text from select news sources into a few representative sentences. Summly creates up to a dozen news summaries which are released twice daily and designed to be displayed on a smart phone or tablet. At a maximum four hundred characters, the app provides more information than a tweet, but rather less than a full article. When Yahoo! bought the news aggregation app the company appointed the teenage Mr D’Aloisio as product manager charged with developing Summly into Yahoo News Digest which went on to become one of the 2014 Apple Design Award winners. Mr D’Aloisio lived in Australia until he was seven when his family moved to London. His parents – mum a corporate lawyer and dad a company executive – encouraged the kids to develop their own interests. The young Mr D’Aloisio spurned television, preferring instead to make films, build model railways, and dabble in 3D rendering. Articulate, imaginative, creative, and grounded, Mr D’Aloisio began designing iPhone apps when he was twelve years old, working in the traditional geek manner – alone in his bedroom. He taught himself the Objective C coding language with a view to building apps. “I just saw a massive opportunity and I had lots of ideas. Every app I developed was like a learning exercise and I’d became better at it through trial and error.” The first app Mr D’Aloisio uploaded to Apple’s App Store generated an income from day one. Mr D’Alsoisio’s curiosity about natural language processing led him to study Russian, Greek, Latin, and Mandarin. He became fascinated by concepts such as grammatical frameworks, morpheme parsing, and linguistics. Scanning the Internet for useful information, he soon realised that he needed a better way to determine, at a glance, what was worth reading. This prompted him to develop Summly. Mr D’Alsoisio’s focus has now switched from linguistics to computer languages. “I’m literate in a few of the latter, but less so in the modern languages used now,” he admits.